Hands down, the most problematic plumbing issue homeowners face is a clogged drain. Drains clog when waste and debris collect in a pipe and become compacted. Clogs can form when too much waste is forced out at one time, when grease and soap begin to coagulate in the drain, or when hair and other particles begin to collect on the walls of the pipe. Most drain clogs form in the traps of toilets, sinks, or bathtubs and are easily dislodged with a plunger, a hand auger, or liquid chemicals. This article provides some tips for you to follow for unclogging a drain and for preventing further clogs from forming. First, if you have slow water drainage, try pouring a mixture of hot water and ammonia or hot water and bleach into the drain. Tougher clogs may require the use of commercial chemical agents. These mixtures can dissolve many clogs without the need for further work. Next, try unclogging your drain by using a plunger. 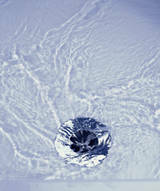 Many times, the air pressure exerted by the plunger is enough to dislodge loose debris in a sink drain or toilet. If the plunger does not work, try using a hand auger. A hand auger can push through heavier, compacted material and eventually loosen it enough so that the clog can be flushed clear. Nice post wonderful tips for draining. 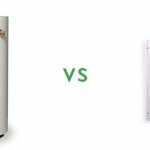 Tank vs. Tankless (Water Heaters) What would you do if an unexpected water leak happened in your home?